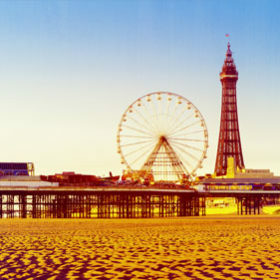 Nestled on the edge of Lancashire, Blackpool is a traditional English seaside resort with a difference. The whizzing whirl of sound, colour and light will transport you to another world. 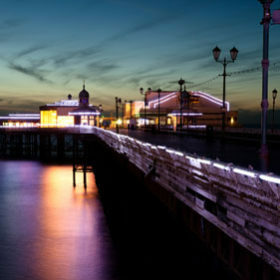 One of fish and chips on the coast, late night wanders along the promenade and action-packed days on the town. 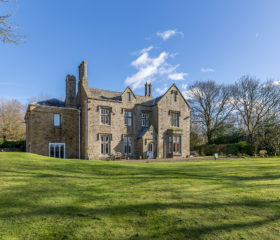 Families, friends and loved ones have been visiting this coastal town for generations, and the tradition is bound to continue after a stay in a luxury kate & tom’s holiday cottage. 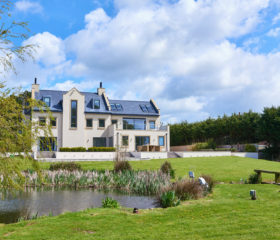 Large country homes, beautiful coastal cottages, fun-filled town houses – the choice is yours. With so much to see, do and experience, kids and adults alike will find an exciting activity to suit them. Understandably, the exciting Blackpool Pleasure Beach is first on many visitors’ lists. 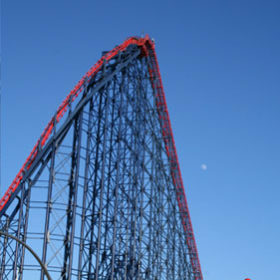 Reach new heights on the Big One, featuring a stomach-dropping, heart-racing 205-foot drop. 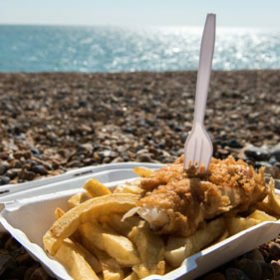 Challenge your friends to a race on the Grand National, or simply take it easy and enjoy some traditional fish and chips, served in a quirky bucket. As for the kids, they’ll be transported into their favourite TV shows with a trip to Nickelodeon Land. Join SpongeBob Squarepants and the Teenage Mutant Ninja Turtles for a fun-filled day by the sea. For those days when the sun doesn’t want to play out, Sandcastle Waterpark is the ultimate indoor destination for an unforgettable day on the slides. Fun pools, wave machines, lazy rivers, slides and chutes galore – there’s plenty to keep the whole family busy in the UK’s largest indoor waterpark. 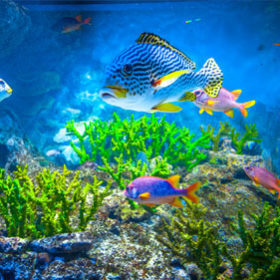 Or, discover a new world with a trip to Sea Life Blackpool, a huge indoor aquarium home to some of your under-the-sea favourites. Come face to face with majestic sharks, get up close and personal with creatures in the rock pools and immerse yourselves in the mysterious world of the stingrays. No trip to the North West would be complete without visiting the iconic Blackpool Tower. First opened to the public in 1894, this impressive tower has housed some of Britain’s best-loved shows and performances. Treat your family to a truly unique experience and head to The Blackpool Tower Circus. Or, take a trip to the Tower Ballroom and relive the moves of some of the dancing greats as you glide across the famous sprung floor. For the more daring members of the group, the Dungeons are the perfect place for laughs, screams and to learn more about the town’s darker history. 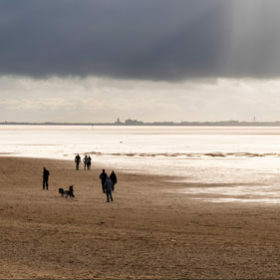 While Blackpool is full of fun, exciting and iconic activities for visitors of all ages, it also has a rich culture and beautiful scenery. 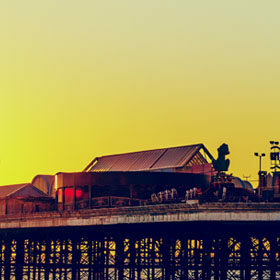 Experience both with a wander along the stunning North Pier – a restored Victorian landmark, complete with theatre shows, amusements and a sun lounge for those warmer days. Immerse yourself in Blackpool’s history of entertainment as you walk the Comedy Carpet. The 2200m piece of art is home to around 160,000 granite letters, referring to the work of over 1000 comedians, from comedy’s early days to modern British sitcoms. You may have the option of a private chef, but with so many traditional cafes, shops and restaurants, you could choose to go it alone. 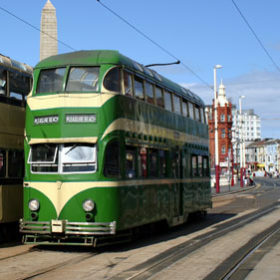 Fill your self-catering cottage with local delights, stocking up on the iconic Blackpool rock. 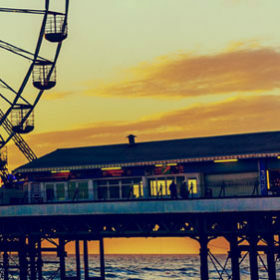 Enjoy a bag of freshly made sugared doughnuts as the sun sets or pick up a delicious fish and chips banquet to take back to your holiday home. 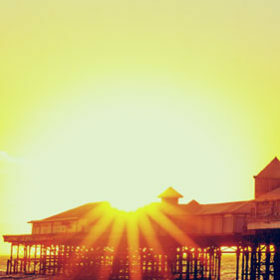 Weekend escapes with your closest friends, getaways with your loved ones or a party with the whole family – whatever your reason, Blackpool is the perfect destination to unwind, reconnect and discover the true beauty of English coastal towns. 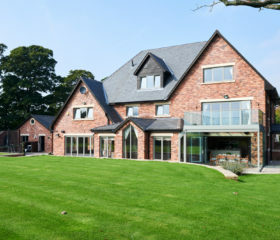 Whether it’s a large group accommodation for your entire family, a luxury rental for an escape with friends or a huge country house that you’re after, the team at kate & tom’s are here to turn your dreams into a reality. Why wait? 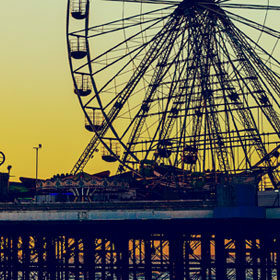 Your unforgettable trip to Blackpool is just a few clicks away. Simply get in touch with our travel team, tell us what you’re looking for and we’ll do the rest.